The Charles Henderson baseball program completed Fall workouts with the annual Trojan Challenge. 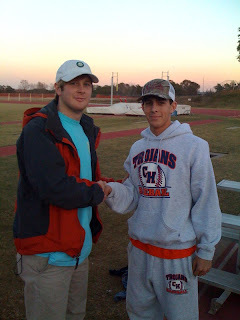 The 2010 seniors were the captains and chose their teams to compete in various events throughout the week. The 2010 champions were captained by senior outfielder Tyler Dansby and included Jalin Lawson, Taylor Lord, Blake Craft, Dalton Harris, Jeffrey Parker, and Zach Minor. Team Dansby finished in first place in six of the thirteen events including the bench press, squat, agility relay, and 100 yard relay. They defeated the team captained by senior pitcher Harrison Reeves by one point, the slimmest margin in the history of the Trojan Challenge. 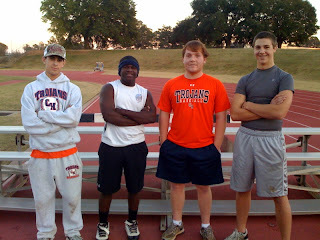 Team Dansby: (Left to Right) Tyler Dansby, Jalin Lawson, Dalton Harris, and Blake Craft.